Last Wednesday, our group of J Street leaders from the United States and J Street U students spending the summer in Israel, met with four members of the Knesset to get their perspective on the war – or “Operation” as it’s referred to here. One was from Hatnua (which is Tzipi Livni’s party and part of the government), one from Meretz, and two from Labor. From Labor and Hatnua, we heard a message of support for the war. That it was necessary and needed to be fought. While the fighting is going on, this type of position is not surprising even given the brutal way that Israel has been conducting the war. I think that they all perceive the tunnels as a very real strategic threat that needs to be destroyed and they have no illusions about the nature of Hamas as a terrorist group actively planning to attack Israel. Because all of those we spoke with are on the center left, it is not surprising that they emphasized the importance of strengthening President Abbas so that he could be in a position to gain enough political power to execute a deal with the Israelis. They felt that one of the not so obvious benefits of this war is that it opened the eyes of many, not only in the government, but in the general population as well, to the fact that they have someone that they can deal with on the other side. All of a sudden, Abu Mazen has gone from being the “Partner we can’t Trust” to being ‘not so bad’ compared to the alternative. Amram Mitzna, former General and Mayor of Haifa and Yeruham, feels that the Operation will help more people understand that there is no better option than the two state solution. There is no military solution to the conflict because Hamas is more than a military organization – it is a state of mind. Israel can destroy all of the rocket caches, blow up the tunnels and kill all of Hamas leaders, but Hamas’ “death to Israel” message will simply be adopted by new leadership. But the most surprising and most upsetting thing we heard about is what has been going on in Israeli society. Over the past several years, there has been a steady and significant increase in overt racism in the country. This extreme hatred is now being projected against those who oppose the war. Whether it is at physical protests where marchers have been beaten up and forced to disperse – or online bullying which has gone to the extreme of calling out death threats to those posting pieces against the war – we heard about an ugly atmosphere of hate that is getting stronger and stronger. These MKs were concerned that the Cabinet Ministers have remained silent on denouncing these racist attacks. Rather, said one, Ministers are often actually the ones inciting this conduct. Virtually everyone we spoke with was extremely concerned about the increase in societal hatred – even the American Consul General in a separate meeting. Although the tragedy of the death and destruction from the war is heart wrenching, what hits me the strongest is the changing nature of Israeli society. There is something going on here that is abhorrent and rotten. No one drew any links directly to the Occupation, but it is clear that in order to enforce the Occupation, there is a need to dehumanize the Palestinians as “the other”. And once a society labels one group that way, it is a short hop to applying the same attitude to any other group. This trend is taking Israel further and further away from what most of us consider to be our Jewish values. Along these lines, we also heard about the deterioration of conduct within the Knesset. Of course, it reminded us of home, seeing that Congress continues to set new lows in obstructionism and lack of decorum. One characterization of the way bills are pushed through the Knesset was “violent”. Not a term that one expects to hear describing legislative functioning. Just as in the U.S., we got the sense that there is a general breakdown in decorum and long-standing unspoken rules of how to relate to your political opponents. Whether this reflects the trends of more explicit and blatant religious, ethnic and, now, political hatred, or leads those trends, isn’t clear. But what was being communicated to us by the MK’s was that this was a serious, serious problem. Finally, all of the MK’s expressed their appreciation for J Street leaders – particularly the J Street U students – for being in Israel at this time of war, and caring enough to reach out to see and hear what was going on so that we could bring what we saw back to those in the U.S.
Subject: “THE PROOF THAT J STREET IS NOT PRO-ISRAEL. As noted in the article, “J Street has co-sponsored other pro-Israel rallies across the United States during the current conflict.” That implies – correctly – that this was not a position of J Street national, but rather a local issue based on inter-Boston issues. There has been tension within the Jewish community there with J Street for years. It is a good thing, but amazing, that Boston JCRC has J Street as a member but there remains unease with other organizations that belong. Recognizing the suffering of innocent civilians on all sides is important (and it sounds like, as it turns out, that this was done at this rally). Noting the very real suffering of innocent civilians in Gaza does not make a person pro-Hamas. Nor does criticizing the government of Israel make one anti-Israel. I would dare say that you are not pro-the current U.S. administration, but that does not make one anti-American. The run up to this war began with the very tragic, heart-wrenching, senseless murder of three innocent Yeshiva students, z’’’l. But from what I have read, this event was then used quite cynically by the Israeli government to take down the Hamas infrastructure in the West Bank. On one level this was a good thing – but on another level, it fanned the flames for the current incursion. It also fanned some very dangerous flames of racism and hatred among a group of right-wingers in a horrific way with the revenge killing of an equally innocent Israeli Arab (i.e., also an Israeli citizen) teenager. One of the reasons that it is so important to make sure that pro-Israel rallies not paint every Arab as seeking to wipe Israel off the map is that once the genie of racial hate is let out of the bottle, it is very hard to get back in. While it was the rockets that instigated the Israeli air retaliation, thanks in large part to the Iron Dome system, the rockets do not present a strategic threat to Israel. I am not condoning rocket fire by any means nor saying that Israel doesn’t have a right to retaliate – only that a war like this is not a strategic solution for Israel. Because previous operations failed to deter the threat from Hamas, I originally opposed the escalation. However, as the sophistication and extent of Hamas’ tunnel system came to light once the ground operation began, I have totally changed my mind and I personally believe that this war is extremely necessary and the current land operation totally justified. 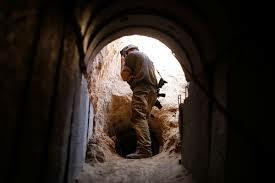 The Hamas’ tunnel system represents a very, very real threat to the security of Israel. One of the most important things that this war re-emphasizes however is that the Israeli government has no strategy for dealing with the Palestinians. As much as we all might like it, the 4 million Palestinians are not just going away. One of J Street’s key points is that we must address the long term solution to these issues: a negotiated two state solution. There is no better time than these rallies to focus the American Jewish community on this fact, instead of simply supporting war. I believe that the lesson from prior military actions (Lebanon, previous Gaza wars) is that when you “mow the lawn”, it just grows back higher and longer The Israeli government, and American Jews, should do everything it can to support moderates – including Mahmoud Abbas.